This is just the quilt top I had problems with the backing getting tucks. I like all your suggestions and will probably try all of them. It is the first quilt that I haven't had lots of help from my more experienced quilting friends. I choose all 55 fabrics myself. My daughter did not want a "quilty quilt" (whatever that means) but I think I succeeded. I am so glad you used my method to quilt your quilt. I cannot take credit for inventing the method I use of putting my quilts up on the wall---that credit goes to Libby Lehman in her book "Threadplay". 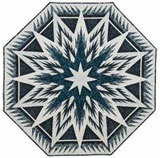 I was lucky enough to take a 2 day class from her in 2000 and it was one of the best experiences of my quilting life! She didn't spray her quilts at the time, she used another method, but I learned about basting spray from a class I took at a quilt shop near here that is sadly now closed. The instructor was the one who emphasized that you only use a very small amount of spray and that has been my method of putting quilts together ever since. I have retired from teaching at quilt shops---my husband pointed out a couple of years ago that all I was doing was teaching and making samples and wasn't doing any of my own work. He suggested I quit and I am glad I did. However, I still do miss it! I do teach privately at student's houses, one-on-one, and that gives me great joy, since I can still let people in on my secrets (not really mine---just all I have learned from all the great teachers I have had). I had a very, very famous quilter once tell me that she still took classes and that everyone should continue to take classes no matter how famous you are because you don't know it all! 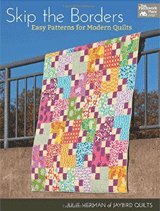 I love chiming in on Generations Quilt Patterns site now and then when I have the time because I think it is one of the best sites around and one of the only ones that answers questions from quilters on all kinds of topics. 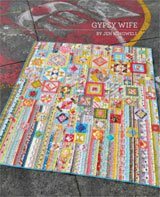 Since I taught a lot of quilting classes of all kinds for years I know how frustrating it is not to be able to find an answer to what seems to be a simple question---or worse, get so many conflicting answers that you don't know what to try. This summer has been filled with too many things to do and not enough time to do them in so I haven't been answering as much as I'd like, but I hope to be able to get back in the groove soon. I am so glad that your beautiful quilt doesn't pucker! That was my hope when I gave my advice. I think you more than succeeded! I think you hit a home run with this one! My boys in Chicago aren't much for the very traditional either, so this gives me some good ideas! Thanks! Well the quilt is quilted. I use Jo Goranson’s method. My husband and I pushed our dining room furniture into the living and mopped the tile floor. We taped the backing to the tile using the grout lines as a grid. Sprayed the backing with 101 Quilting Spray that I ordered online from Quilting_Warehouse.com. We spread on the batting and sprayed the batting then we spread on the top and pinned the corners plus two more pins between each corner. We let it sit for a couple of hours then flipped it over and straighten out the backing just a little. Let it sit over night and I started quilting and not one pucker. Thanks everyone for all your help but most especially Jo Goranson for her great suggestion and for Julie Baird for her suggestion and having the wonderful web site. From the Editor: Doin' the happy dance for you, Elaine. So glad to hear things turned out great! Just read your comment on my 25th Anniversary quilt. I have been away and ready to get back to the quilt. I am ready to try spray basting it. I always thought that was only for small stuff. I have 16 grandchildren and a large extended family. I will never have time or be good enough to enter a quilt to be judged. I am too critical of my work myself. Thank so much for the help. I really appreciate it. Elaine, this is absolutely gorgeous! I love how you've used the neutral blacks and greys with the purple...wonderful balance of color. Stunning use of this pattern! Your daughter and SIL are very, very, VERY lucky! I think you did a great job making this quilt! 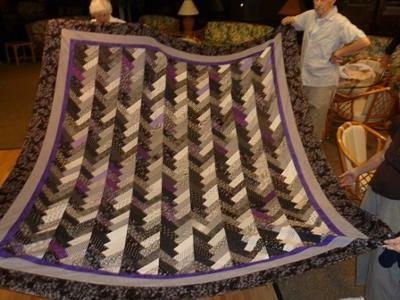 One of the reasons you get tucks in the backing might be because it is such a large quilt. When the quilt is this big you need to make sure you "stitch in the ditch" down all the rows and make sure you don't do them all in the same direction. You should also do the same thing every 6 to 8 inches on the horizontal rows also. I usually do this with invisible thread in the bobbin as well as the top. You can only use invisible thread in the bobbin if it is made with polyester, not nylon. There are only 2 companies I know of who make invisible thread this way---they are Sulky and Superior Threads. I know this sounds like extra work, but stitching in the ditch stabilizes the quilt so that you do not get puckers when you quilt it. Do you pin your quilts or do you use spray adhesive? I use Sullivan's Quilt Basting Spray on all my quilts. I taught basic quilting this way for years and made sure my students understood that you use only a small amount on the quilt. I can get 10 large quilts basted with one spray bottle of Sullivan's! Most people put way too much basting spray on the quilt and then wonder why they can't quilt it. I had one student tell me she used 1 1/2 spray bottles on one queen size quilt! When I showed her the label which says "spray lightly" and do it 8 to 10 inches above the quilt she finally got the idea that it is to be used sparingly! Once I get the quilt put together I can pick up the backing and the top and make sure they are pucker free. It is like using a post-it note. I only pin the 4 corners, since they seem to want to come up. Then I wait 24 to 48 hours before I start quilting and I have no problem with the basting spray gumming up the needle. I have done this for years and love that I don't have to keep taking out pins when I am quilting. You can also get puckering depending on the batting you use. Remember to read the label to see how far apart you can quilt. 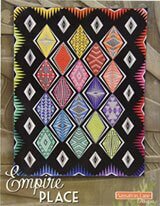 I think you did a wonderful job with the color combinations on this quilt. It is very striking and the combinations of the lights and darks are just right. Your daughter will never notice any puckers on the back (unless you point them out which you shouldn't do). She will just love the quilt. 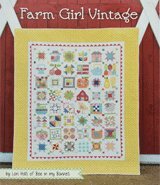 Don't worry about the small stuff when you make quilts that are for family and friends. They just love them even if there are a few flaws! If you had made this quilt to be judged that would be a different story, but this is something you made for a loved one and they are much more forgiving than quilt judges. You made it with love and she will love it because of that! I love your quilt --- great job in picking pattern & fabrics.